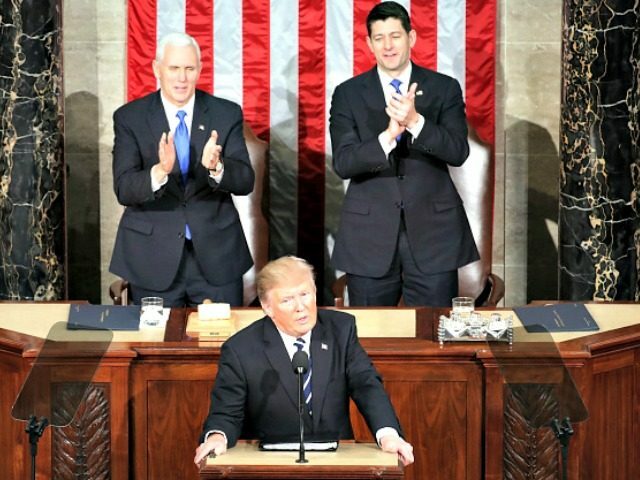 If passed in its current form, the GOP’s Obamacare 2.0 bill will impose brutal costs Americans still struggling to make it through a great recession—particularly President Donald Trump’s base—and risk handing Congress and the presidency back to Democrats. In other words, senior citizens—who vote regularly in mid-term elections—will see their healthcare costs increase under the Republicans’ bill. Plus, Obamacare 2.0 phases out credits for people who start earning more than $75,000. Why? Because screw the voters and they’re on their own? What a great message to send to the middle class! Not only are Republicans hurting people struggling to make ends meet, they also punish you if you make too much money. Everyone loses, except perhaps insurance companies. 2) Meanwhile, the bill is “a gift to illegal aliens,” as conservative author Daniel Horowitz writes. Illegals can get health care through identity theft and fraud, because Obamacare 2.0 makes it impossible to check enrollees’ immigration status. The bill incentivizes further illegal immigration by encouraging illegals to come to the U.S. to cut into taxpayer-funded programs meant for citizens. Poll after poll shows Trump’s immigration policies prioritizing Americans and their problems over foreigners and their wants are hugely popular with voters. Giving away health care to illegals, while ramping up the price for Trump’s core voters, is a slap in the face. 3) Obamacare 2.0 will be labeled as “Trumpcare,” and Democrats and their media allies will highlight every hard case to attack Republicans for hurting the poor and elderly. Remember when a progressive group put out an ad showing Paul Ryan pushing a grandma in a wheelchair off a cliff? Obamacare 2.0 gives the media and the Democrats a golden opportunity to walk away from their healthcare mess and blame Republicans, and amplify that message endlessly. 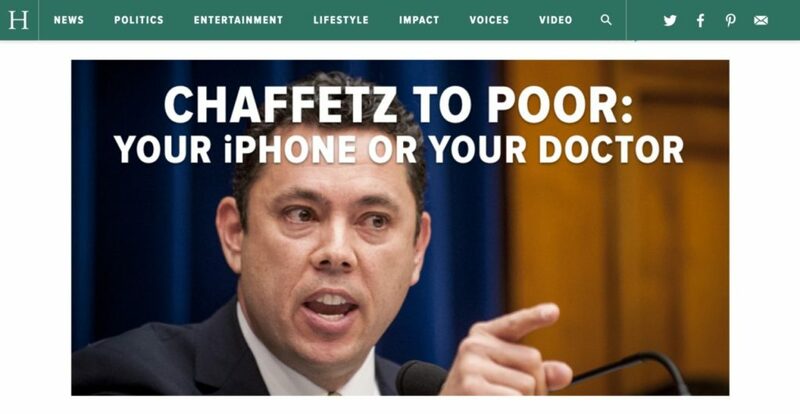 Chaffetz later walked back his comments, but the damage was done. They sound especially bad in light of Obamacare 2.0’s “continuous coverage” provision. 5) The arbitrary and crushing penalty for not enrolling during the randomly-selected period will hurt financially struggling voters already fighting to stay afloat. As Avik Roy writes in Forbes, the “continuous coverage” part inflicts a massive cost increase on those who go without paying for a plan for more than 63 days. “Worse still, the bill contains an arbitrary ‘continuous coverage’ provision, in which those who sign up for coverage outside of the normal open enrollment period would pay a 30 percent surcharge to the normal insurance premium,” Roy writes. And you have to pay this for an entire year—which will not go over well with people struggling to pay for rent, for childcare, for student loans. In other words, it’s not enough to pay a one-time penalty if you forget to sign up for your Obamacare 2.0 in time or choose to forgo insurance altogether. No, you have to pay 30 percent more, on top of rising costs, for a whole year. How is this supposed to help, say, parents with three kids paying a large monthly premium (not counting eye and dental, of course) with a high deductible? 6) This bill is going to unleash the kind of political fury on Republicans that will elect Elizabeth Warren in 2020. Part of what killed Hillary Clinton’s campaign was voters getting their massive Obamacare premium increases in the mail in October. Republicans seem eager to inflict that kind of fatal damage on themselves. The explosive reaction to Obamacare launched the Tea Party in 2010 and swept Republicans into Congress during the mid-term elections of 2014. The Left is furious and energetic under Trump. The 2018 midterm elections are right around the corner, and Democrats are going to launch a holy war against Trump during the 2020 election. The Left will rally around Massachusetts Democratic Sen. Elizabeth Warren and other progressives and portray the Democrats as the party of the forgotten man. The white, working class gave Trump a chance in 2016. They could easily begin voting Democratic again or drop out of the political process altogether after a healthcare betrayal. 7) It destroys political capital desperately needed for the rest of Trump’s first term, particularly pro-American immigration reform. Trump’s election victory wasn’t a once-in-a-generation election. It was once-in-a-century, or once-in-history. Republicans have one, brief chance to correct the course the U.S. is heading down and bind up all of the wounds inflicted on Americans over the decades. There is a small window to end the era of cheap labor, low wages, mass immigration, hollowed-out communities, family disintegration, drug addiction, and suicide. Will Republicans take it and secure their party’s dominance for the next 50 years? Or will they throw it away? Will Trump continue to support Obamacare 2.0 despite conservative and populist dissent?